With the signing deadline approaching (July 6, 2 p.m.), here’s the latest update on the Dodgers’ draftees and their signings status. 1 J.T. Ginn $2,275,800 unsigned ? 2 Michael Grove $917,000 unsigned ? 3 John Rooney $538,800 unsigned ? 10 Deacon Liput $136,800 unsigned ? I missed the McLain signing when it happened. It should have been in the first update. I am so sorry. The Dodgers are currently $209,800 under their draft pool right now. Factoring in all the savings and the 5 percent (less $1) they’re allowed to go over, they’re still $474,209 from that mark. I’m assuming the extra money right now will go toward getting Ginn signed, and they should save a bit on Liput when he signs. He just got done playing in the College World Series, so it’s not surprising that he’s still unsigned at this point. Here’s the other post-10th-round players who have signed since the last update. None reported bonuses, so let’s just assume they’re south of the $125,000 mark. It’s no surprise that most of the unsigned guys outside the first 10 rounds are high school and/or junior college guys. Of the remaining guys, I’m not terribly confident they’re going to get 14th-rounder Brandon White (6-foot-8, RHP) to sign. Right-hander Trey Dillard, their 15th-rounder, would be a nice addition, but he could easily return to San Jacinto College North, as could his teammate, outfielder Jordan Myrow (Dave Roberts‘ godson). Lastly, 16th-rounder Julian Smith‘s intriguing left arm would be a nice addition to a system that is lacking on quality LHPs (but has gotten better in recent years). But with Ginn and Grove not being signed yet, the Dodgers have to make absolutely certain there are no shenanigans with them before agreeing to what should be over-slot bonuses for some of the guys listed in the graf before this. And here’s a quick rules refresher. The picks within the first 10 rounds get a slot amount allotted to them, and they must be signed in order for their slot amount to go towards the overall bonus pool. Additionally, if any picks from rounds 11-40 or undrafted free agents are signed for more than $125,000, the overage will count against the bonus pool. And here’s how the overage penalties shake out. The Dodgers can go up to $264,409 (5 percent, less $1) over their allotted slot amount of $5,288,200 without losing a draft pick. No team has ever exceeded this bonus pool since this system was implemented in 2012, and it isn’t going to happen now. There will be a lot of signings over the next nearly 10 days. 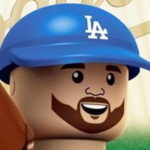 I’m not worried about the Dodgers getting their first 10 selections signed. I’m more curious how the rest of the potential signings will play out.